Apapun tingkat kemahiran Anda, English Today dapat memberikan yang Anda butuhkan! Do you want to study English in Bali? English Today Bali is here for you! 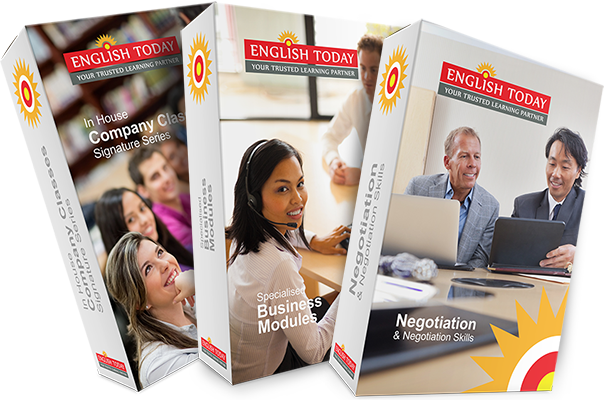 English Today Bali is the best English training center in Denpasar. We are English Today Indonesia’s branch that grows nationally together with English Today Jakarta, English Today Surabaya and English Today Makassar. Our course programs are being taught by high qualified and experienced teachers who will help you to learn English effectively and maximally. We laso have trained many prominent companies in Indonesia, such as Garuda, OLX, BNI, Hankook, Daikin, HERO, Zurich, Nestle, XL, Djarum, BukaLapak.com, and many more. Let’s study with English Today Bali. We have various programs for adult learners and professionals or employees. These programs can be done in a private class or office or company training. There is a placement test (written and spoken) to measure the English knowledge, skills and abilities of every student. If you have professions as Director, Manager, Supervisor, Administrator, Entrepreneur or Self Employee, we have an English course program that is compatible with your field and designed based on your needs. This program is really appropriate to support your routines and it is in line with your profession. In this program, you will be trained and taught to discuss numerous interesting topics based on your choice in a comfortable and pleasant situation to simulate natural English environment. Enjoy the natural English conversation with pronunciation and language guides from our teachers. Daily English conversation practice is the best way to get efficient and effective in improving your English communicative skills. IELTS is International English Language Testing System. For you who want to study or work overseas have to hold a standardized test certificate such as TOEFL and IELTS with high scores. The need of call center to speak English clearly and efficiently is very important because they don’t see the customers in person in communication. Sales and marketing are the spearhead that really determine the success of a company. Our English program focuses on English and role plays that are important and needed by the sales and marketing staffs to know the steps and selling process in English. Any student who chooses to study English with English Today, will succeed and be more confident. Here are some of the English Today clients that are already successful and satisfied with our service.